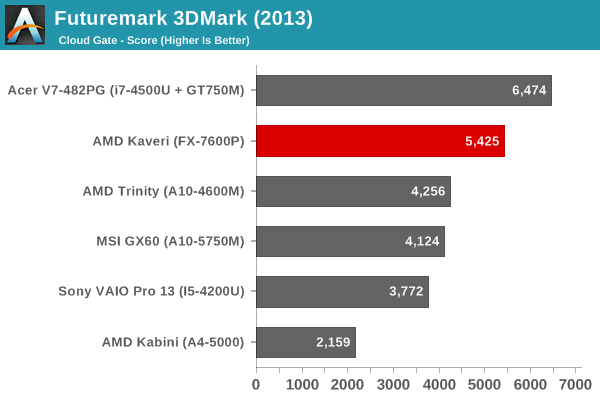 Jarred.....Anand.....you are comparing an hot 35W SKU with a constrained 15W ultrabooks SKU. 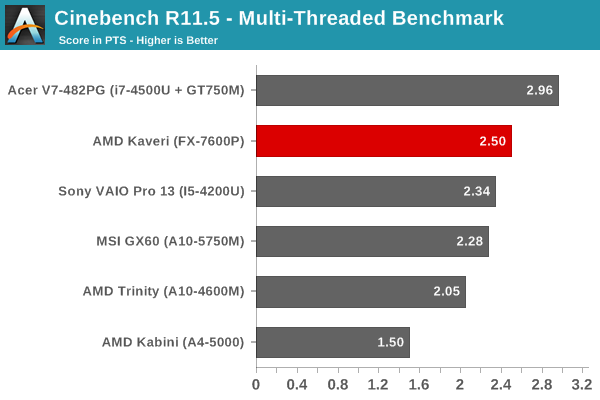 This time there is no justification, Anantech lab is plenty of notebooks with a 37W Intel cpu on board and i pretty believe of notebooks with 28W U parts with a less constrained HD 5000 or Iris 5100 GPUs. 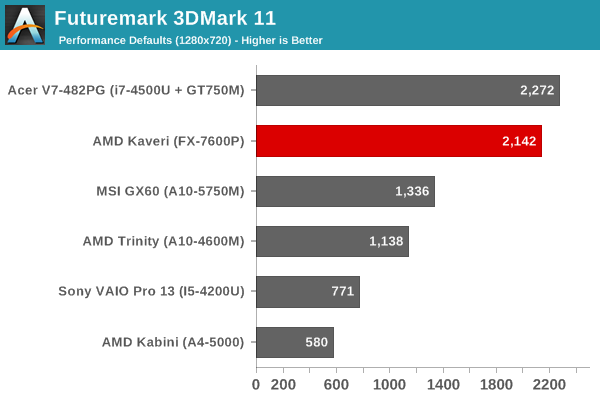 And why a i7 4500 (GT2) and not a i7 4550 (GT3) ?????? 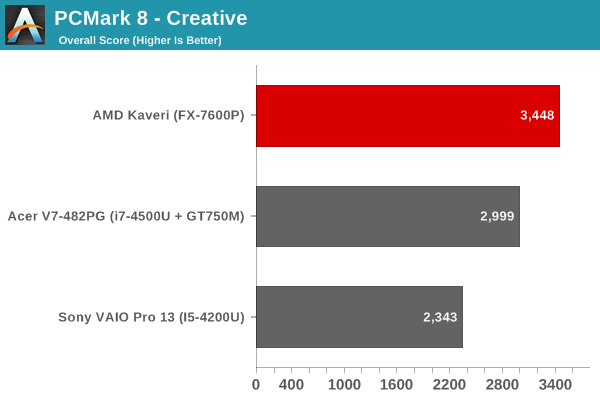 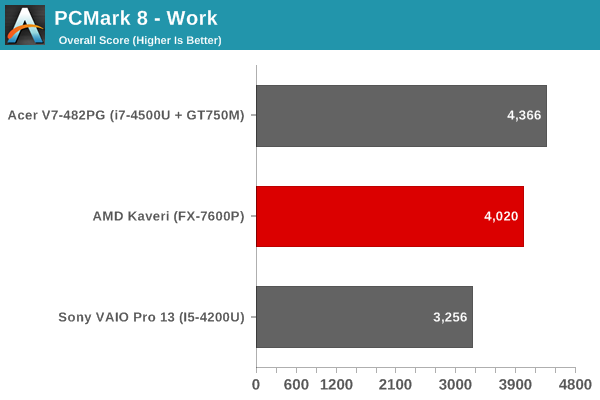 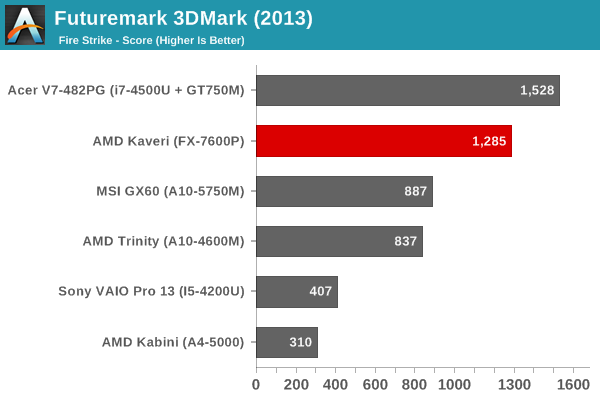 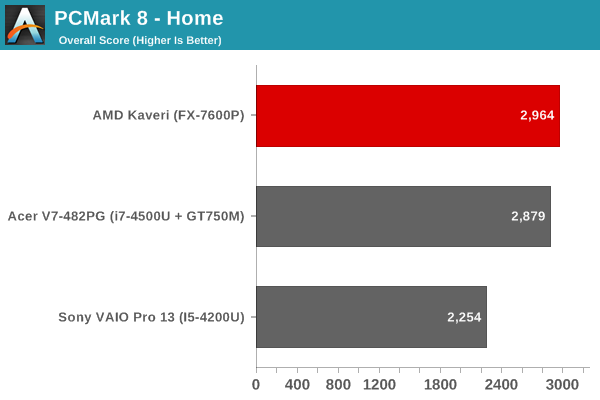 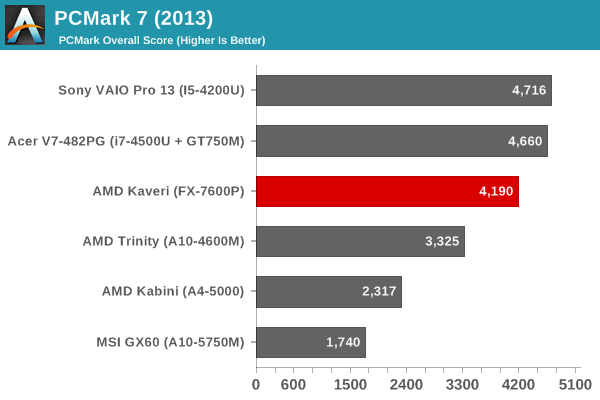 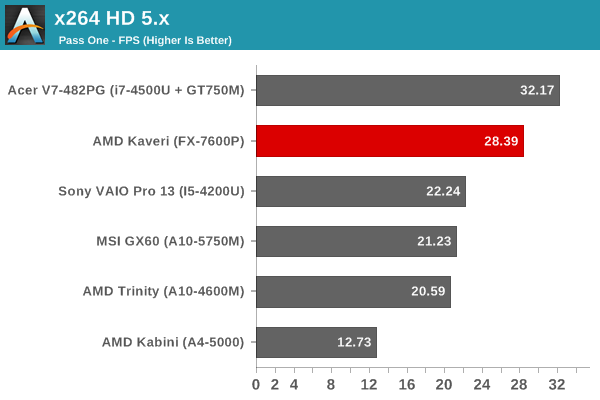 The perfect review could be with a i7 4550 or i5 4250 both GT3 with TDPup enabled up to 21/22 W. We have forgotten that Kaveri is 19W but we need of other 2/3W for southbridge that is on package on Haswell. 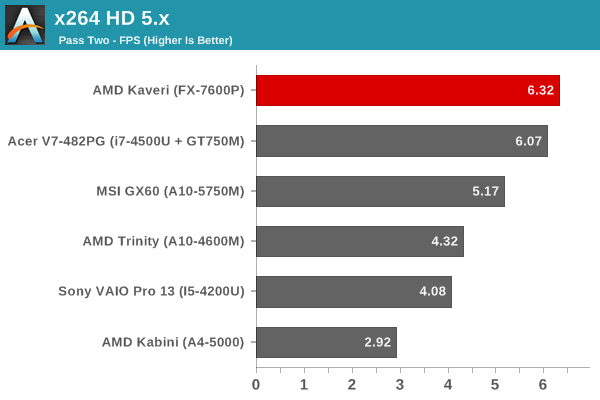 Looking at others reviews, in this conditions Intel and Amd are average on pair in GPU (depending on game title) and Intel is in huge advantage in CPU. 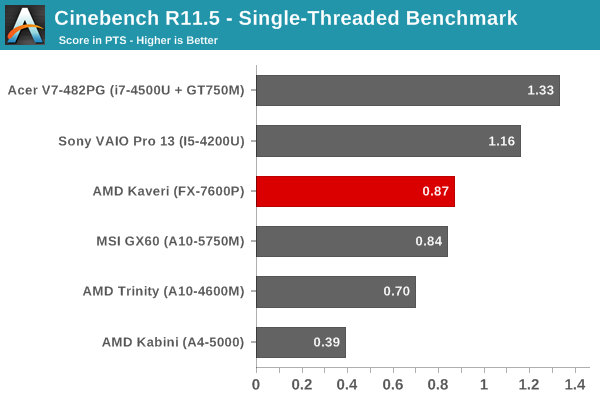 The 19W (21/22) TDP figure seems an attempt to put sand in customer eyes.